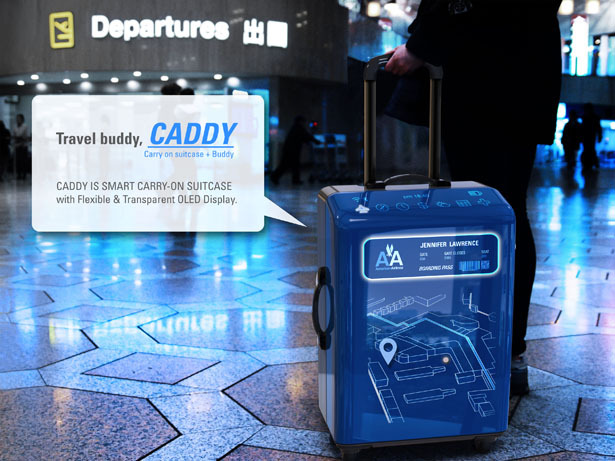 Caddy Smart Carry-on Suitcase is our futuristic travel companion, yes, it’s a high-tech suitcase equipped with smart device and app for people to travel smarter. 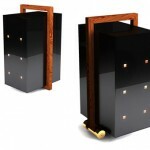 This concept suitcase features unbreakable OLED on its cover, it provides you with many essential travel information via its custom apps in order to help you enjoy the journey, just like your personal ‘Golf-Caddy’. All you have to do is just enjoying your trip, left all the complications to Caddy. 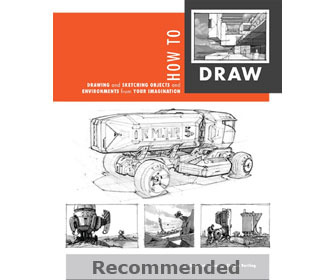 From the beginning of the 2010s, the existence of hardware objects were replaced by software programs. As a result, glasses in the 80s have evolved into Google-glasses and old flip-phones have evolved into smart phones. 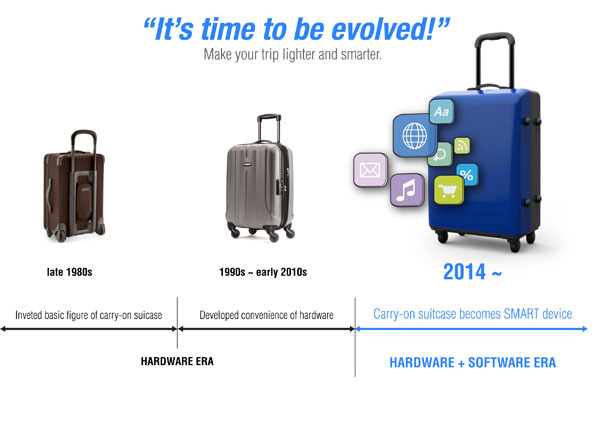 But, suitcases don’t evolve at all. 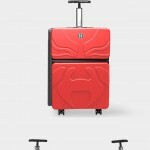 So, the designer decided to install the smart brain into suitcases. 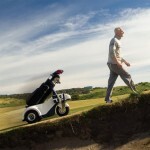 This smart technology will be a helpful travel buddy for all travelers. 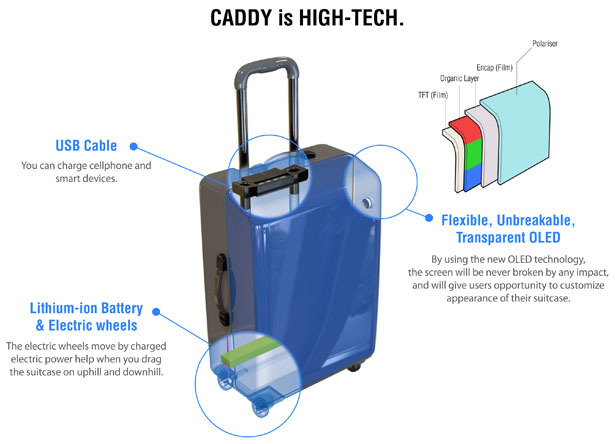 With Caddy, travelers do travel lighter and smarter. 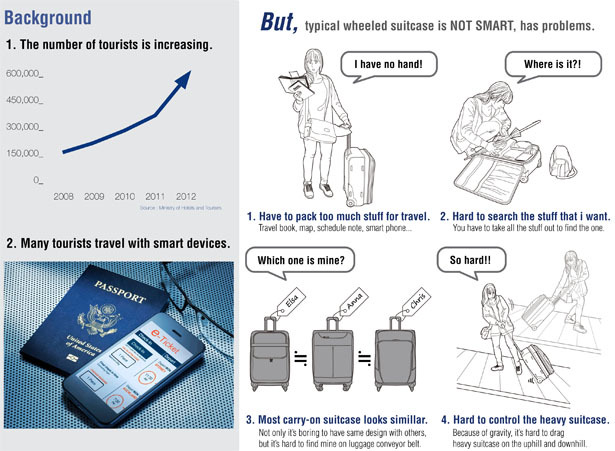 The smart carry-on suitcase offers many benefits for travelers, one of them is the GPS technology in the suitcase, travelers can get real-time updates of various information based on regions and countries (weather, exchange rates, time, map etc). 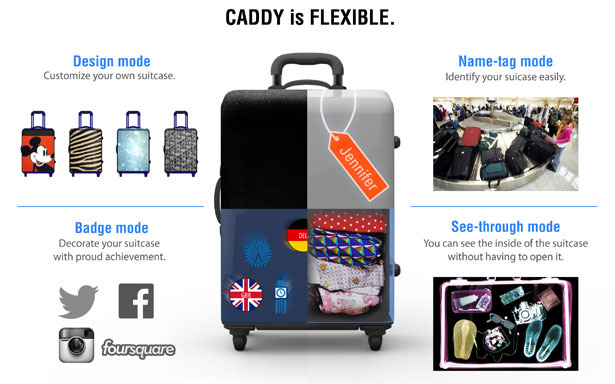 Caddy smart suitcase is equipped with movement detection system. 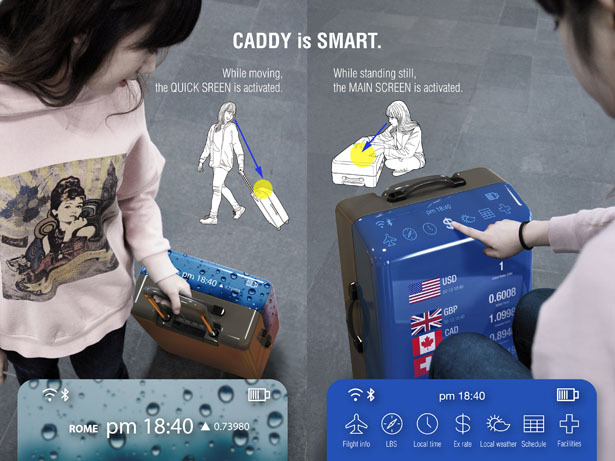 There are 2 screens, one is a quick screen which is activated Caddy is stationed to provide information about local time, exchange rate, current location, battery remains, Wi-Fi and the background-screen showing the current weather. The bigger screen displays more specific information about travelers’ flight, navigation, world clock, world exchange rates, world weather, scheduler, and facility. 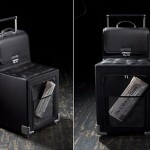 Change the system to See-through mode, the screen turns into transparent where you get to see inside your luggage without having to open it. 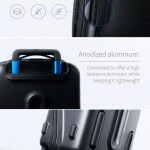 Name-tag mode creates your personal name-tag screen to identify the suitcase easily and fast, you also change the screen design or layout in design mode. When you visit certain countries, cities, or famous tourist landmarks, you can get badges that can be shown on the main screen. The badge mode not only gives a stylish decoration but also shows proud achievements. You can also get them when you achieved certain goals related to travel for example visited Eiffel Tower 5 times, walked 20km today, etc. This information can be shared on Social Media (eg. Foursquare, Facebook, Twitter, etc.) and exchange travel record with friends. 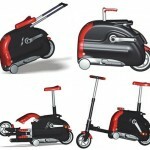 Tagged as caddy, Carry-on Suitcase, essential travel information. I am pretty sure the word ‘invented’ is spelled i-n-v-e-n-t-e-d, not i-n-v-e-t-e-d, as you have spelled it in the graphic above. Perhaps that was the way it was spelled in the late 1980s, though. Dude, calm down, I think it's pretty obvious that the designer doesn't use English as his main language. He's a Korean. Non-viable product. 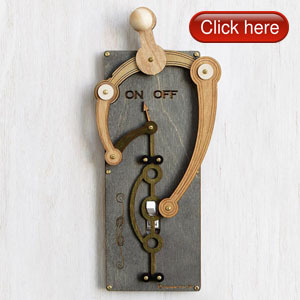 So this wonderful OLED screen sits unused in your closet 99% of the time? Complete waste of technology. There might be a few people out there who travel more than you Steve.